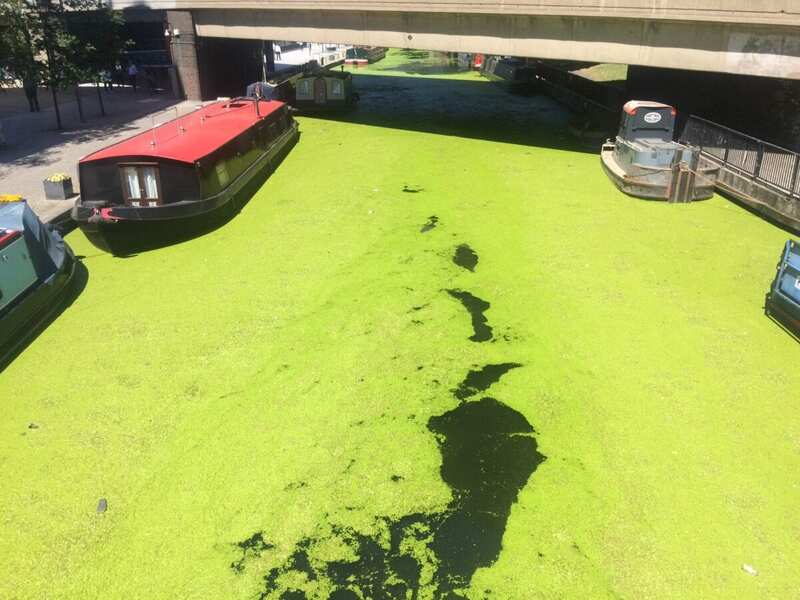 There’s something strange on London’s waterways… a green invasion that is now being tackled in the capital. 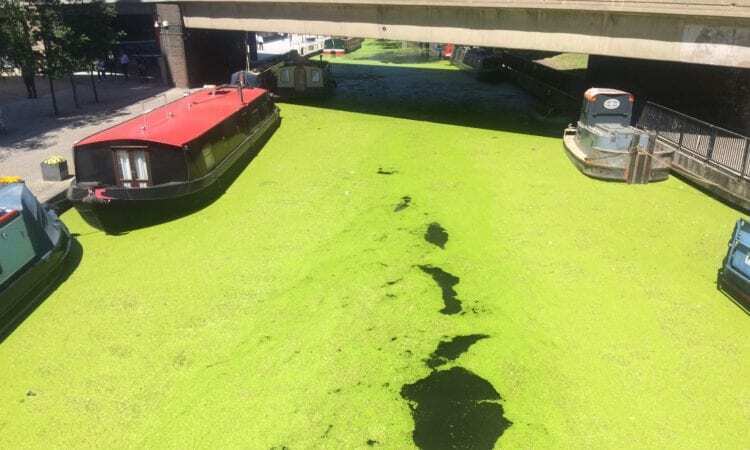 A peculiar phenomenon is appearing on London’s canals, as a spreading carpet of weed attempts to turn hundreds of metres of water green. 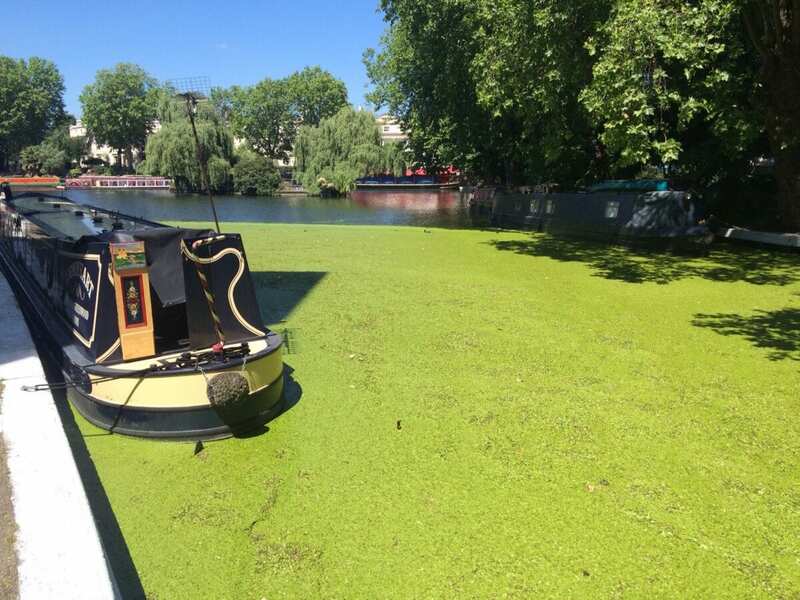 The Canal & River Trust – the waterway and wellbeing charity that cares for the capital’s canals – has special ‘weed-eater’ boats out on the water to scoop up millions of pieces of the floating duckweed. Duckweed is naturally occurring and multiplies rapidly in the warmer temperatures. It can double in size over a matter of days so the trust is working to prevent the city’s waterways, which are on the doorstep of millions of Londoners, being taken over. This week alone, around ten tonnes of duckweed have been collected by the trust’s teams. It comes at a time when more people than ever are visiting London’s canals to relax and chill out, with thousands boating or using the towpaths each week during the summer. While an individual piece of duckweed is no bigger than a ladybird, they grow together to form a carpet across the canal. This traps litter which, as well as looking a mess, can cause problems for boats and leisure craft on the water. The weed is not harmful to people, but dogs and other animals have been known to mistake it for grass and ended up in the water. Significantly, if left to thrive, it can cause problems for other aquatic wildlife by starving the water of oxygen and sunlight. 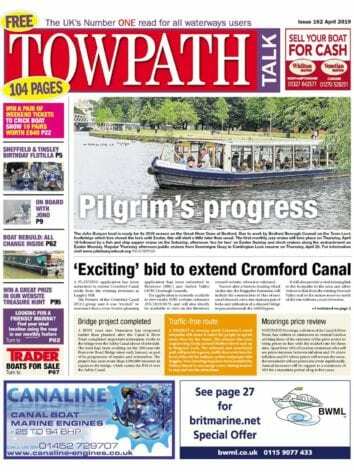 Sam Thomas, Canal & River Trust customer operations manager, says: “Duckweed is a real challenge on the canals at the moment and with more hot weather on the way, it’s going to continue growing. It grows so rapidly and is tricky to collect because the individual pieces are so tiny. We use special boats to keep on top of it but, with the movement of the water, it’s a bit like trying to mow a moving lawn. The weed itself isn’t harmful – in fact lots of ducks, geese and some fish like to eat it – but it looks bad, traps rubbish, and it can cause problems for boaters too. The trust is reminding people to take care when out walking with dogs and with their families, and asking people not to throw litter on to the weed.